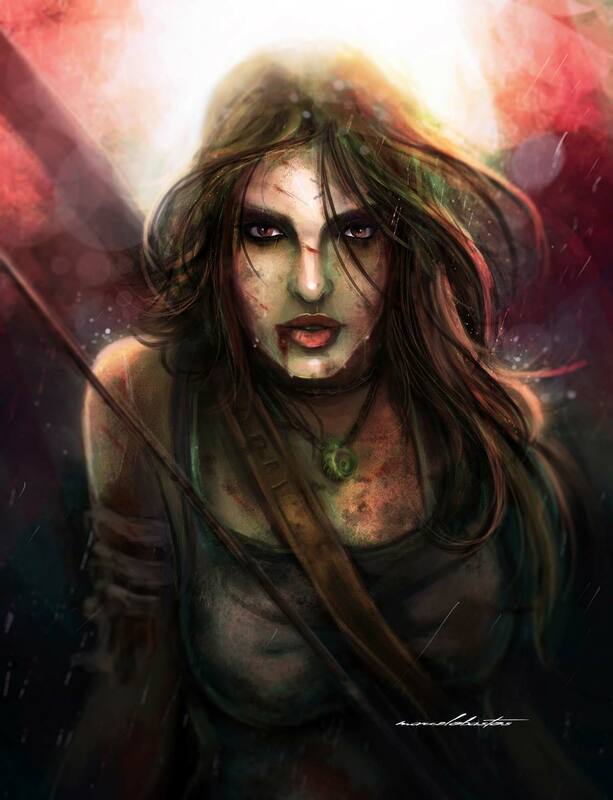 Hi everyone, following the worldwide launch of Tomb Raider game, today we're going to present a case study of this illustration by the digital artist Marcelo Bastos. Marcelo is a artist based in Fortaleza, Brazil with a focus on speed painting and character design. You can see more artworks from Marcelo at his Behance and at his Facebook page. The main idea for this illustration was the launching of Tomb Raider's new game, a series that I'm a complete fan. 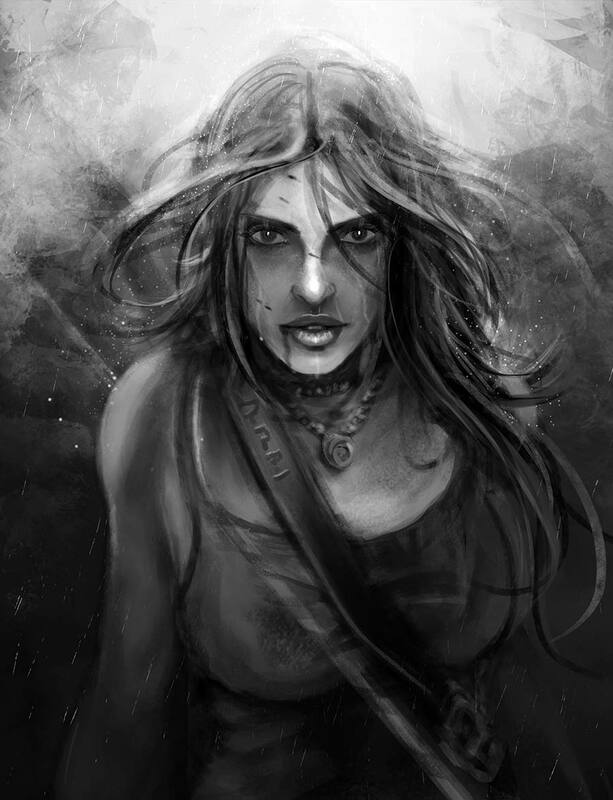 So I decided to try out my version of Lara Croft based on the one from this game. After I made the pose for the illustration, it's time to square the shapes on the composition. Always trying to make soft lines in order to shape the image and also thinking about the lightning e shading (that's why I started it out on grayscale). Here we start to see some details popping out like the hair and eyes, but I keep the focus on the general image. On the beginning I never worry about the final details of the image, because you end up wasting too much time giving attention to a specific part. 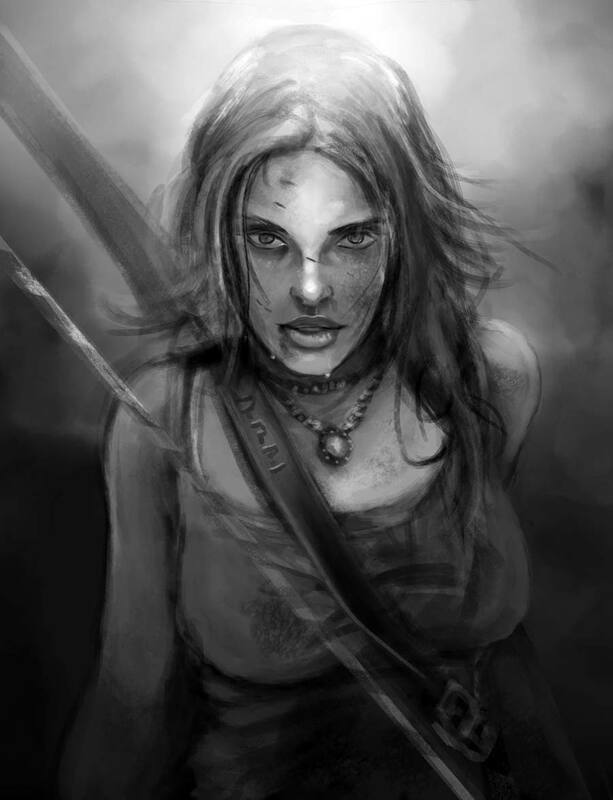 I changed a bit Lara's face as it wasn't with correct simmetry, I wanted her to look straight and strong. Here I used the hair to give some focus on the face, so it act like frame. 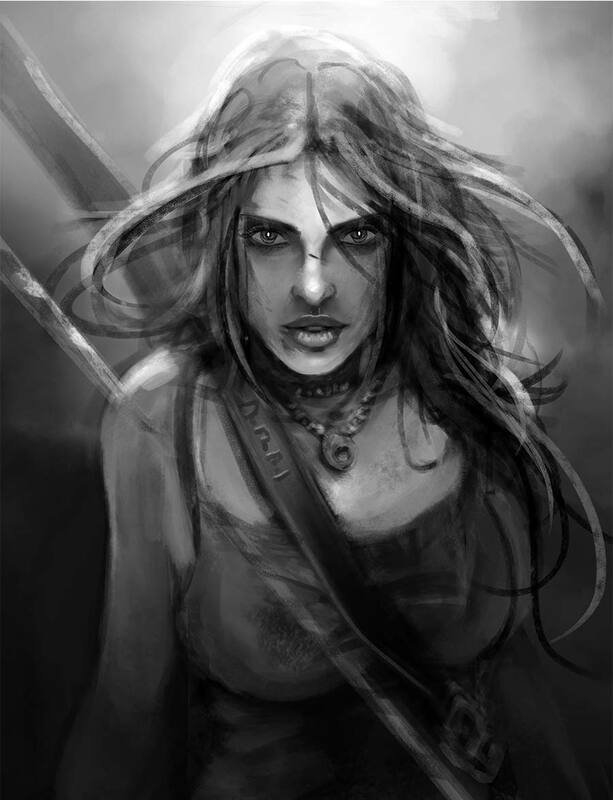 As the focal point of the image is the face, I worked on details surrounding this area. I used rain brushes and textures for the background of the image, I also used the liquify tool to make some adjustments on the head and face. After I defined all the lightning, shadow and shapes on grayscale, I created a layer and set a overlay blending mode to apply the colors I selected previously for this project. After I defined the areas with the correct colors, than I just merge down all layers e start the refining process, always duplicating the layer after I make any change. This amazing photo illustration is a personal project by Brazilian designer Fabio Araujo. This project is about Brazil's nature, The largest country in South America, Brazil is blessed with exuberant natural beauty.